There are a number of reasons why Ocean Yoga Festival was born. A big part are the connections we have made and are yet to make- with the ocean, with ourselves and with the beautiful community that forms this special part of the world. To make it accessible to everyone, all classes are free so that your donations can be given directly to the local NGOs, helping them do the important work that they selflessly do. Sometimes it is not easy to choose what is the best way to help- so we tried to make it easier for you by choosing four of the most deserving organisations that are local and have a proven track record of dedicating themselves to improving the lives of the local community. Below are the summaries of what they do, so you can pick the one that resonates with you the most. After each session, you will have a choice of four boxes to put your donation, no matter how big or small- and these will be passed on directly, no admin fees, no middlemen. 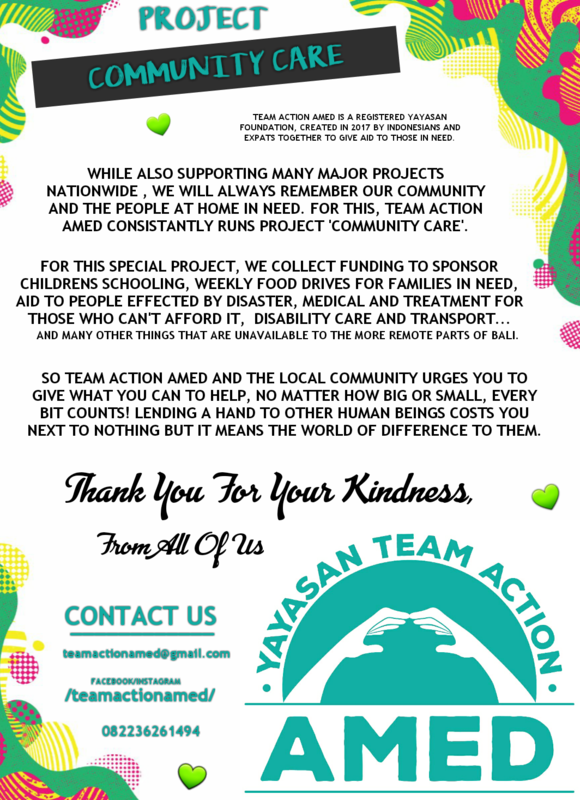 If you feel like making a larger donation, learning more about what they do or feel you can contribute in a different way, please feel free to contact them directly via links provided below. Created to serve and support local community of Amed, Ikan Kecil Foodbank and Community Centre in Amed also serves and supports unofficial evacuees from Mt. Agung in case of emergency. – sponsor kids to go to school with a new backpack, shoes, uniform and books. The Ikan Kecil Foodbank and Community Centre is also collaborating with a dedicated local health care organisation on a series of free health care lectures and workshops for women and young girls from the local Amed community, teaching self- examination, breast cancer prevention, contraception and family First Aid. 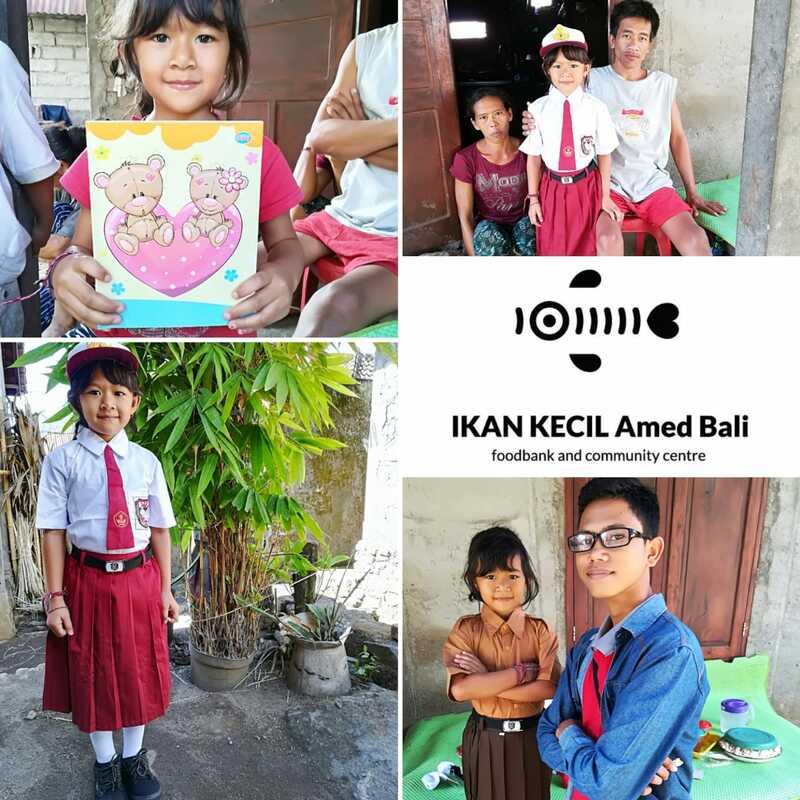 Ikan Kecil was established in October 2017 to help with the logistic, coordination and distribution of donations from various charities delivered to Amed during the emergency evacuation of people from Mt. Agung to Amed and Amed area. Peduli Alam means ‘protect nature’ in Indonesian. It is a non-profit organization looking after environmental and humanitarian issues. 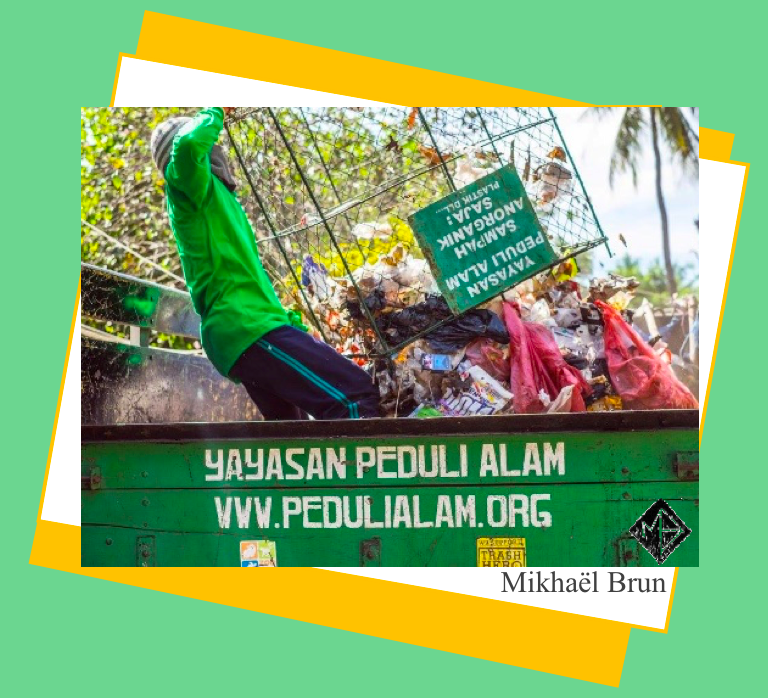 Our project is to offer all inhabitants of the villages in the East of Bali a solution to manage their waste and protect their environment. BACK TO BALI GREEN ! 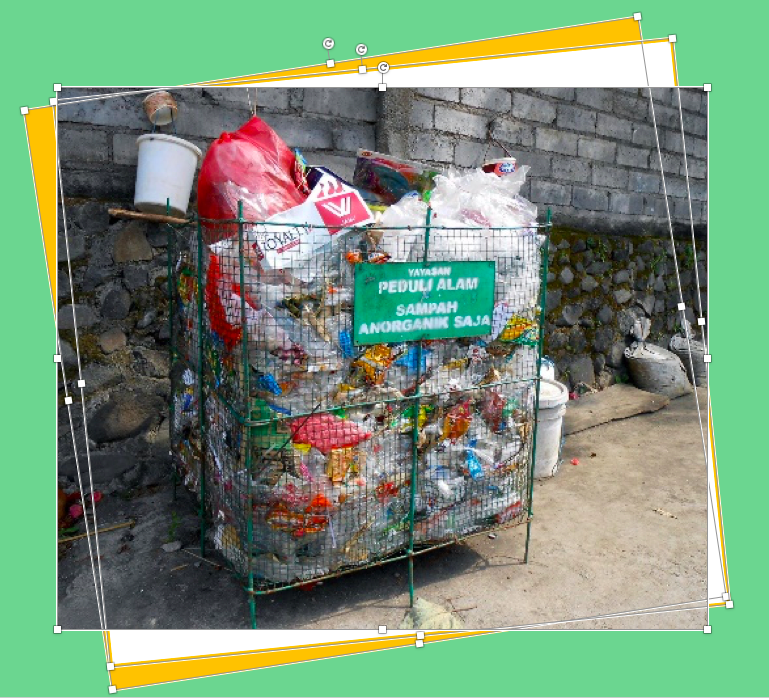 We have developed a system of waste collection for the rural population: 200 public and 350 individual bins, for the benefit of over 800 families, as well as many grocery stores and local schools. The collected waste gets transported to a sorting center thanks to our team and pick-up truck. Education is an essential part of our work, and the key to generating responsible behaviour. 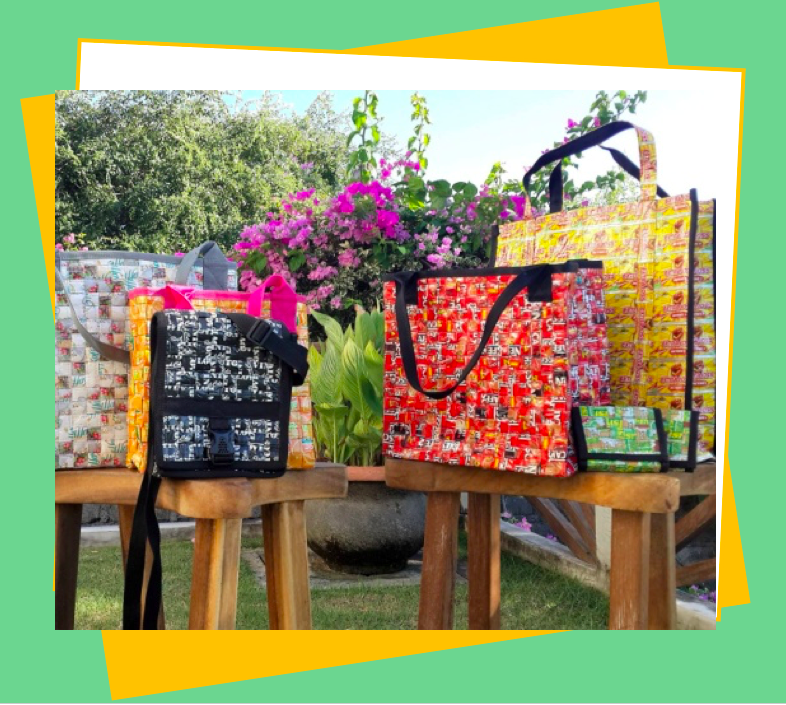 Our objective is to educate the Balinese population about the dangers of plastic pollution on health and the environment. We work in schools in the region, to explain how and why we have to manage waste. Up to today, about 1.100 pupils profited from our educating program about non-organic waste management. Rumah Sehat provides life-saving health care and education for some of the most disadvantaged people in Bali, covering the area known as the Karangasem regency, including Amed, Mt. Agung and surrounding villages. And it needs your help to continue its vital work! Founded by Ray and Sue Bishop, Rumah Sehat was established to help local villagers access the kinds of basic health care that many of us take for granted. Alongside fellow founder, Dr Angga, they opened a medical clinic in November 2012, and have worked hard as a registered Yayasan in Indonesia, and as part of the Rotary charity in Australia, to grow and meet the needs of the area. Last year alone the clinic treated over 7900 patients, with over 5000 people walking through the doors of the small village-based clinic, and others treated at local banjars and at ‘healthy days’ sponsored by other groups and businesses. It’s an incredible result considering the clinic has a small registration office, an even smaller maternity room and a consultation room that is no bigger than a bedroom. The consultation room houses two doctors who visit twice a week, with ongoing care provided by the dedicated nurses who manage the pharmacy and daily patient needs. The most common health issues seen by the team at Rumah Sehat are arthritis, diabetes, stroke and cataracts. The medications needed to manage these conditions however, are out of reach for the many people in this region who live on less than $100 USD per year. Rumah Sehat is proud to be able to provide free care and life saving medication for these patients, most of whom are subsistence farmers working hard every day to feed their families and provide for their community. ANAK believes that healthy, educated children are the cornerstone of a more just world. ANAK is a non-profit, apolitical and non-denominational French-Balinese community charity organization, which since 2003 has been helping in the education of more than 300 children from remote villages in Northern Bali, where more than 60% of the population lives under the poverty threshold. ANAK also follows up the health of these children and gives them instructive guidance while encouraging them to open themselves up to the world and to free their creative potential through cultural and artistic activities. In respect and harmony with local customs, Anak endeavours to respond to the practical needs of the population, through formal and informal education, but also in terms of infrastructure and the environment. With the help of local partners and on-site coordinators that come from the villages that take part in the program, Anak supports the education of Indonesian children aged 7 to 23 who live in poor rural areas and remote villages in North and North-eastern Bali. Our teams encourage these children daily to discover the world, to free their creative potential through cultural and artistic activities, to be conscious of their talents and to gain in confidence and self-esteem. Anak not only takes care of the health check-ups of all these children and teenagers but also continuously makes them aware of the importance of respecting the environment. The selection of children supported by Anak depends on a meticulous process as well as two major factors: the child’s motivation and the lack of family means.